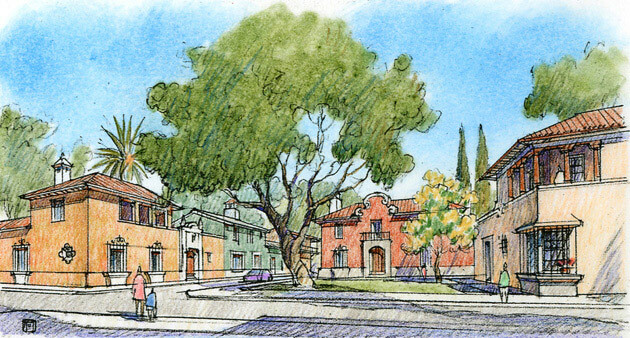 Cayala Town Center is one of six neighborhoods planned for this 1,000-acre city that was master planned in 2003 by Leon Krier and Estudio Urbano. 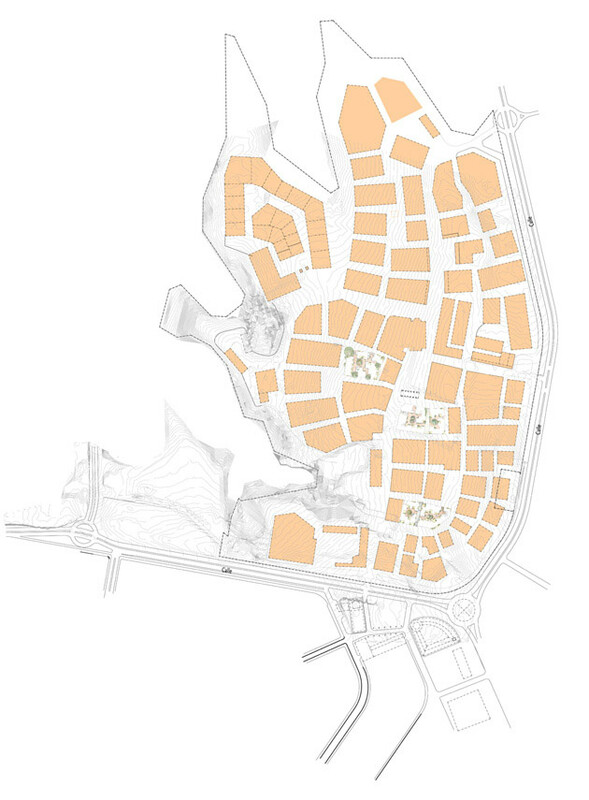 Located on a hilly site dominated by a series of deep ravines, the 46-block town center consists of nine building types ranging from a supermarket with mixed-use liners and underground parking to flex/live-work housing, office over commercial, courtyard housing, row houses, compounds and single-family detached houses. 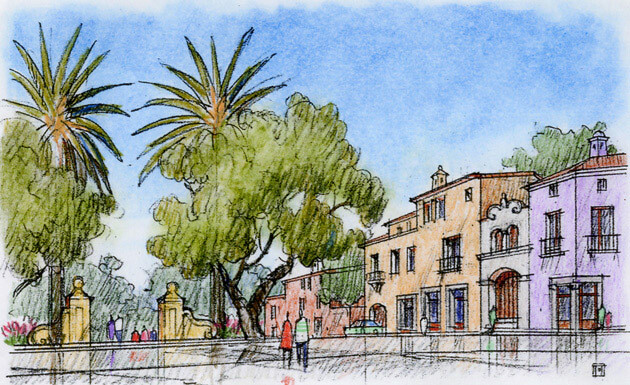 These types, along with six plazas, four jardines and three civic buildings, are distributed on a center-to-edge transect on an irregular and interconnected grid of streets. 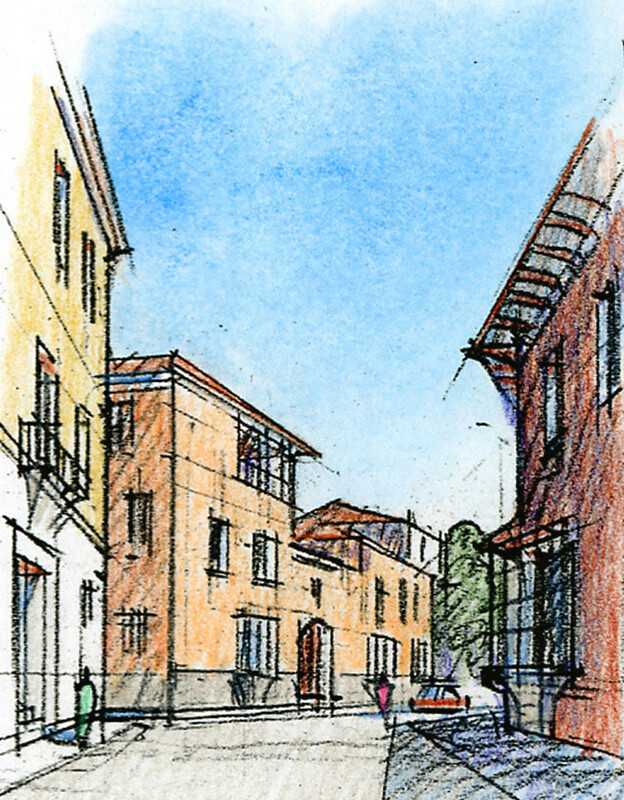 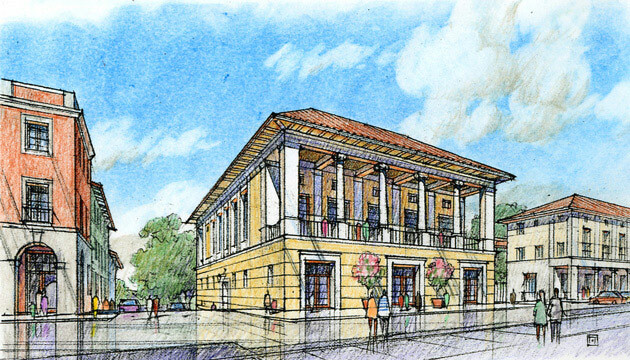 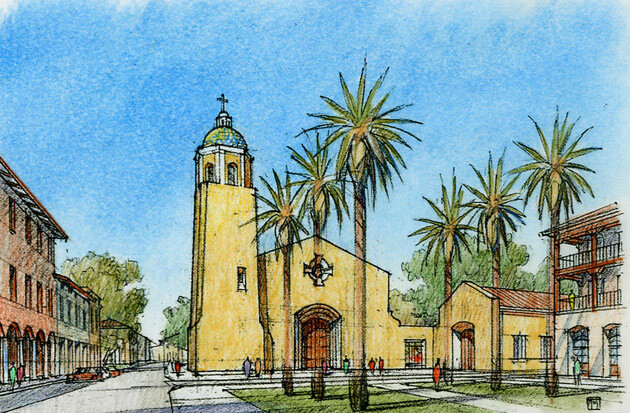 The proposed architecture and urbanism is based on the beauty and traditions of local examples such as Antigua and other Latin American precedents. 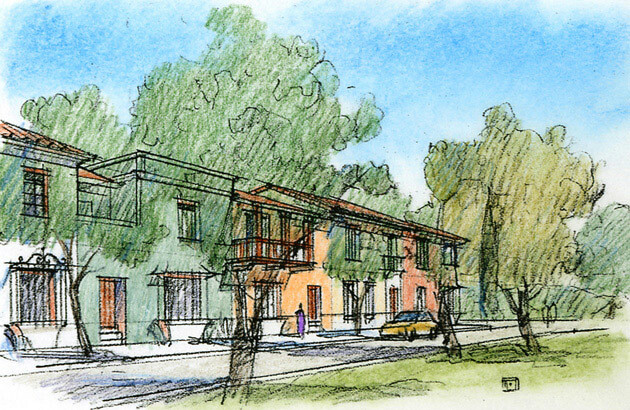 The first phase implements 11 blocks, approximately 300 dwellings and 45,000 square feet of retail space. 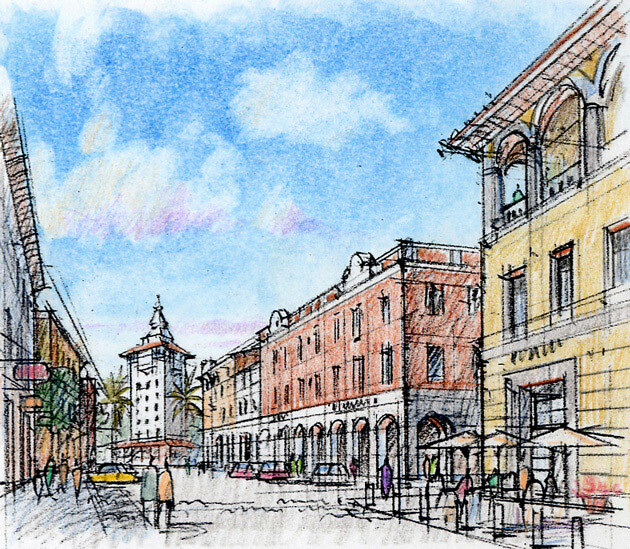 A substantial portion of the main street will be formed by mixed-use liners that surround the supermarket with lofts, flats and townhouses above ground-floor retail. 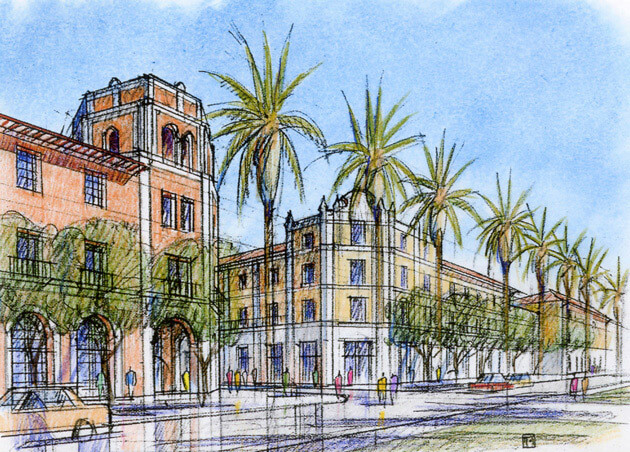 Courtyard housing will be located within the blocks.